That one random anime that you must watch..
At first glance, this didn't seem too promising. I dragged my feet through episode one in hopes of understanding this anime later on. By the end of episode two I understood completely, and, on the other hand, started to enjoy the anime thoroughly! This is one of those "peculiar but satisfactory" animes. 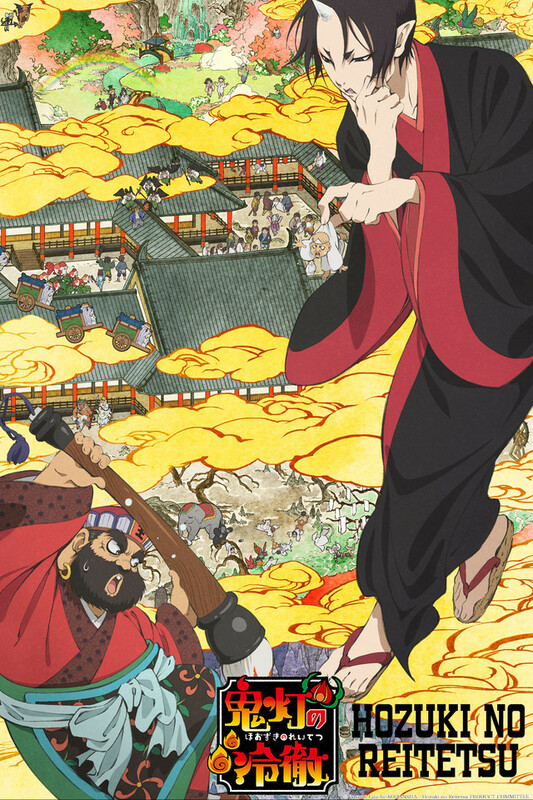 As someone who has seen Gintama, Hozuki no Reitetsu reminds me precisely of it. It has some pretty funny references, that is, only if you can apprehend them. I can't quite explain this anime any further, other than: it's different, comical, and worth the watch. I definitely can't wait to see what new ideas this anime brings next. I have been enjoying these episodes start to finish since I noticed it had started airing (and sadly, have caught up). As others have stated, the humor relies a lot on cultural references and plays on words (reminiscent of Sgt Frog for those who enjoyed that series) as well as elements of Japanese history and folklore. It might be tough for someone unfamiliar with those subtleties, but could also be an educational experience for those willing to pursue it. I also enjoy the art work, which manages being modern without looking like all the other anime currently broadcasting, and borrows from more traditional Japanese drawing styles for many transitional elements. All in all, I wouldn't say so far (as of episode 7) that this is a GREAT or intriguing anime, but it is definitely fun to watch. Hozuki himself is a treat, and the visit by Satan (King of European hell) to Japanese hell had me laughing out loud. Just watching along and realized that the part in episode 7's mortal hell where the girl is leading a boy along by a leash... they are the main characters from my pet monster. Lol. now I need to go back and see if anyone else interesting has wondered through hell.